In addition to setting a licensed limit for certain pollutants, the program will allow the government to impose fees or other sanctions when a company surpasses its limit. China will link the system with a total emissions control and environmental impact assessment system for corporations, the country's State Council announced. China is putting a greater onus on power plants and big industries to track and limit their environmental damage, requiring them for the first time to get government permission - in the form of licenses - to pollute the air and water. The system will start with licenses being granted to coal-fired power plants and paper-making industries. But the program will eventually - the goal is by 2020 - apply to all "critical industries," as listed in the country's Air Pollution Action Plan (2013) and Water Pollution Action Plan (2015). 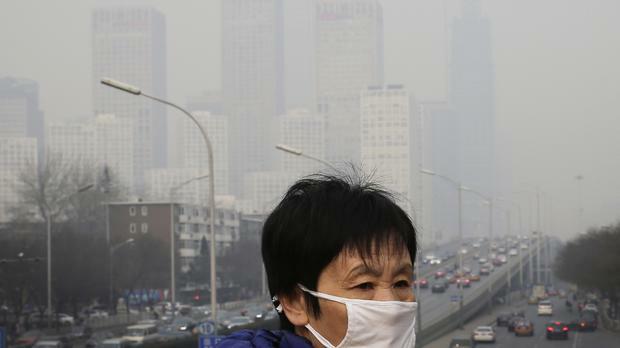 "After these reforms, licenses for every corporation that emits pollutants will be like an identity card, theirs only, a unique license allowing them to emit pollutants, and a fundamental basis for them to follow law, and for law enforcement to execute and supervise," Chen Jining, head of the Ministry of Environmental Protection (MEP), said in a statement. The license-based plan will replace a pollution quota system that had been linked to a geographic region - rather than a particular company. That process, monitored by local governments, has been seen as ineffective, as officials have been inclined to forgive pollution fees for companies that help the local economy. "The licenses will not just be a piece of paper to put on the wall, but a package of legal documents that include detailed information on the kinds of pollutants, their intensity, where the emissions are going, and what kinds of treatment facilities the company is operating," said Song Guojun, a professor from Renmin University's School of the Environment in Beijing. Guojun has been tasked by the Ministry of Environmental Protection (MEP) to advise on the system, according to statements on the ministry website.